Lethbridge First Aid is a training service provider that awards trainees with first aid certificates after completing a training program. Certificates are valid for three years but can be renewed if still current. All classes are taught by workplace approved certified instructors so you are assured of quality training. Only the latest and high-end training equipment is used in all the classes. Registration can be completed through a variety of method. Other available courses include food safety, on-line WHMIS and TDG classes. Visit the Lethbridge First Aid website and choose a program today! Signing up for the class you want is as easy as filling out the registration form on the Lethbridge First Aid website. The website also has a complete list of available classes, rates, and schedules to choose from. Students may also sign up for a class through e-mail, telephone call, or in-person during business hours. The course fees at Lethbridge First Aid are very affordable and paid in full during enrolment. Rates are inclusive of all additional expenses such as taxes, certification fees, and workplace approved training manuals. Students who do not finish their enrolled program and drop out are entitled to a full refund of the fees, provided a 72-hour notice was given. First aid training programs are focused on different first aid skills needed to address different injuries and emergency situations. Students are taught how to perform cardiopulmonary resuscitation (CPR), automated external defibrillation (AED), and wound care. Injuries such as neck, spine, and joint injuries are all part of the program curriculum. The entire standard first aid course lasts 14-16 hours, taken throughout the week, including evenings and weekends. 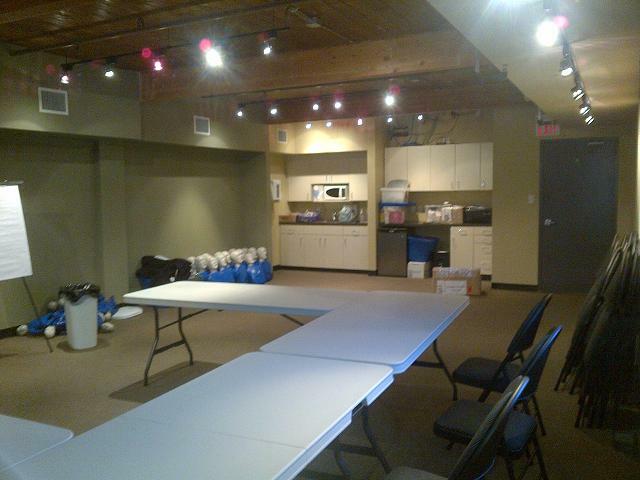 Stand-alone classes for CPR (three levels: A, C, and HCP) are also available. Big groups of trainees and students with scheduling problems can enrol in private classes in any of the facilities. Instructors are also available for training at home or for events like workshops and conferences. Inquire about their rates and schedules through e-mail or telephone call. The certificates expire after three years. They can be renewed, while still current, through recertification programs held twice a week, 8 hours long. First aid recertification is inclusive of CPR level C recertification. Most people only get a small rash or bite mark from a tick, but others may have severe allergic reactions to the bite. If you have a history of allergic reactions to insects, the following may be signs and symptoms to a dangerous allergic reaction to a tick bite.